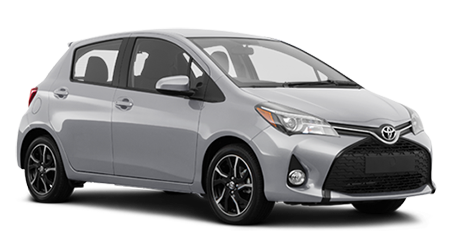 Imagine tackling Oregon’s roads with a stylish subcompact vehicle that can save you hundreds of dollars on fuel. 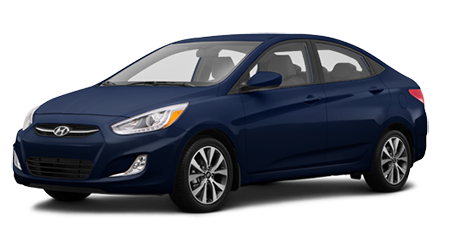 At Butler Hyundai in Medford, OR we have the perfect vehicle for you to use on a daily basis – the 2015 Hyundai Accent. As one of Oregon’s premier Hyundai dealerships, Butler Hyundai serves San Jose, CA with the best selection of new Hyundai models. Visit Butler Hyundai to get assistance from our award-winning staff and test drive the new Accent today. The subcompact segment is packed with a lot of strong competitors, so let’s see how the 2015 Hyundai Accent stacks up against the Toyota Yaris. While subcompact vehicles aren’t known for their powerful engines, the new Accent is equipped with an engine that can using the vehicle enjoyable. The Yaris has a 1.5L inline-four that produces 106 hp. The engine is either mated to a five-speed manual transmission or an optional four-speed automatic. On the other hand, the Accent is equipped with a 1.6L inline-four makes 137 hp and is joined to a six-speed manual transmission or an optional six-speed automatic. If you’re looking for a subcompact that has a punchy engine, then the new Accent won’t disappoint. Conventional subcompact vehicles sacrificed interior space for versatility. However, the new Accent offers you with a copious amount of interior space, which makes the automobile easier to use on a daily basis. While the Yaris offers you with 84.4 cu. ft. of passenger volume, the Accent provides you with 89.7 cu. ft. of passenger volume. The extra five cu. ft. of space allows the Accent to have more front headroom, front legroom, front shoulder room and front hip room than the Yaris. The 2015 Hyundai Accent is one of the best subcompact vehicles on the market today. When comparing the new Accent to the Toyota Yaris, the Hyundai has the upper hand with its more powerful engine, interior space and extended warranty. Stop by Butler Hyundai in Medford, OR, serving Medford, Klamath Falls, and Grants Pass, and see how fun the new Accent is to drive.